Construction often involves long hours and working away from home, meaning operatives may not be familiar with the area in which they are working. This limits the opportunities for recreation outside working hours. 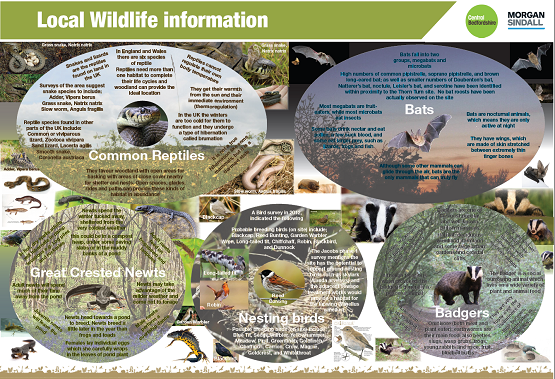 These walks were built on the environmental information produced by the site, outlining what wildlife could be seen on the walks. While not all sites are situated in locations where there is opportunity for wildlife walks, all sites can still promote recreational walks to encourage operative health and fitness. In urban areas, these walks could include information about local history and culture. Please see the resource below for one nature walk guide. Monitor report. Morgan Sindall Construction & Infrastructure Ltd. Bedfordshire. January 2017.